When you’re out sourcing, one of the things you need to consider is your competition. Say you’re out sourcing at Big Lots and come across an item with a great ROI. You research the item with your favorite scouting app and see that there are other FBA sellers selling this item. Do you join them? Or pass and look for other items with less competition? It’s something to consider when making reselling decisions. In the past, some scouting apps were able to tell you how many of an item a certain seller had in stock, but Amazon changed the way these scouting apps get their information, and now it’s a complete mystery. Or is it? When a scouting app returns the current data for a particular product, it will usually show you current prices, some of your competition, sales rank, and other pieces of information. Wouldn’t you also like to know how many of an item one particular seller has in stock? It could make a big difference in whether or not you decide to buy an item for resale. It could be helpful information to know if a few of the lower priced sellers have 5 to 10 of an item in stock before you decide to add yourself as a seller of that item. Even more critical is knowing how many of an item Amazon has in stock. With Amazon’s buying power, they could easily have hundreds or thousands of an item in stock at any given time. When Amazon has that many in stock, it’s often a good idea to pass on selling that item. 1. Go to the Amazon sales page for the item in question. 2. Click on the link that shows all of the current product offers (new, used, collectible, etc). 3. Choose one of the current sellers and add their item to your cart. 4. Click on the “edit your cart” link. 5. Click on the quantity and change it to 10+. 6. Type in 999 (the highest number allowed) and click update. There ya go! You now know how many of that item that particular seller has in stock at a FBA warehouse. 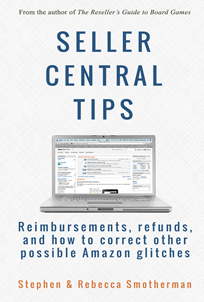 This method works with 3rd party sellers as well as with Amazon themselves. Note: These methods only work for seeing Amazon’s stock level when Amazon doesn’t have purchase quantity limits. Amazon sometimes limits purchases to 3 units, in which case they may have hundreds in stock, but you will only see 3 units available. 8. I almost forgot! Don’t forget to remove these items from your cart. I once had almost $30,000 in my Amazon shopping cart when using this method. I wouldn’t want anyone to accidentally buy everything in their cart. 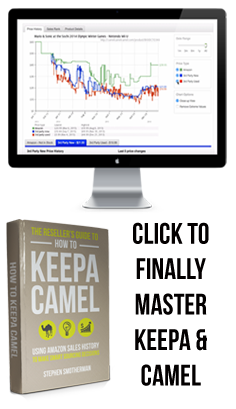 The pros of this method are that it’s free, and you can do it both on your desktop and on your smart phone with the Amazon buyer’s app. The main cons of this method are that you can only do this trick for one seller at a time, and if you have multiple sellers to research, it can take up a lot of time. My favorite method to find out stock levels of my competitors is to use the How Many? app. When you sign up for How Many? you get access to both the Chrome extension and the smart phone app. The How Many? extension can be easily installed on the Chrome browser and be up and running in no time. When you open up an Amazon sales page and click on the How Many? icon, you’ll see the inventory levels of every seller selling that item (both FBA and MF), even if the seller has buyer limits on his listing. To learn about many more features of How Many?, simply click here. How Many? also has a mobile app that you can use anywhere you have a connection. Simply scan the item’s barcode or enter in the UPC or ASIN, and you’ll see immediately the stock levels every seller has for that item. There is a free version of How Many? (which allows 5 free scans per day) and a paid version that has unlimited scans, but for the time it saves, it’s well worth the cost for us. For that one monthly fee you get access to both the Chrome extension and the mobile app. 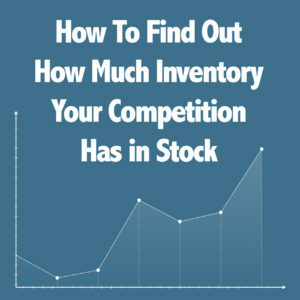 Knowing how many items your competitors have in stock is not only good for when you are out sourcing, but also when you are pricing your items. If the three lowest priced sellers all have just one item in stock, then depending on the rank, you might want to price your item higher then theirs, knowing they might sell out while your item is headed to a FBA warehouse. On the other hand, if you see that the lowest priced competitor has 100 in stock, you might want to price more competitively to get a quicker sale. It’s all about strategy and what works best for you. Ok, now it’s time for you to put your new inventory research skills to the test! Here is an item that I want you to research. Take a look at the three lowest priced FBA sellers and let me know in the comments how many they each currently have in stock. Don’t peek below at what others are posting. In fact, others may have done this exercise at a completely different time than you and will have different results. In any case, you never know if someone bought this item on the same day as you are reading this blog post, and the inventory levels have changed. Comment below how many the three lowest priced FBA sellers have in stock. I wonder if us adding it to our cart while someone else is going through this exercise will skew the results. Awesome tip, Stephen! This should be really helpful! Great job everyone! I hope this will help you make smarter buying and pricing decisions! I use this trick quite often. But, knowing how I do things with my FBA inventory, I think it is always good to remember that just because another FBA seller has only 1 in stock doesn’t mean 10 more aren’t on a UPS truck. And it doesn’t mean that after those 10 are sold more wont be coming. Especially on larger items or slower selling items, I don’t overstock them, but replenish them as needed. So it is valuable to use your wits and decide if the item is likely to be a Replenishable item that the seller can get more of at any time, or if it is likely to be a “one-off” type item such as clearance items from a big box store. I also look for a connection between the seller and the product. If the seller name happens to be the publishers/manufacturers name, for instance, then obviously they have unlimited supply. Thanks for the tip! 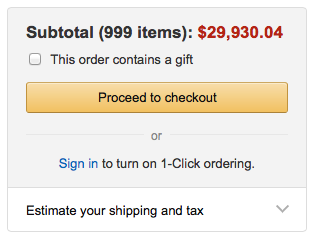 I also found that the number left in inventory shows up when you only add one item to your cart…. Traci, I have found this to be true some of the time… but for some reason, not all the time. This is an awesome tip! Thanks Stephen!! Is there any way to find out how much of an item the competition is selling per month? There is not a way to know exactly how many items the competition is selling per month, but you can find out some information so that you can get an idea of how many times per month an item will sell. It’s a website called CamelCamelCamel.com. You can search using the item’s ASIN on that website and it will tell you the sales rank and price history of that item. You can guess that a sale was made each time the sales rank chart has a big “uptick” in the graph. Hope this helps! 1, 1 & 4 when I looked at it. Thanks for sharing your strategy Stephen. That info along with the rank will help me make better decisions. The Reseller’s Guide to Board Games – Does it cover how to find profitable boardgames online? You see, I’m overseas living in Sweden, and I can’t go into a physical store in the US. That is my only question to you. 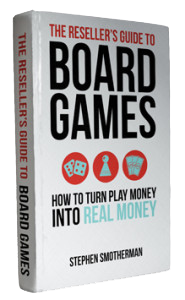 There is a whole chapter on how to find board games on eBay and sell on Amazon, so yes, it does cover finding board games online. Thank You Stephen for the knowledge, this will help me a great deal I appreciate you for helping us so much. I’m new do yu help me. I need amazon selller account please help me. That’s true, but almost nobody uses this option… except for Amazon. Most 3rd party Amazon sellers don’t want to limit the number of items a person can buy from them. But it’s something to think about, so thanks for brining it up. Great information as always! I’ve always been curious on this exact question! Actually, I just tried it and when you put it in your cart it tells you how many they have left in stock. Great info ! Thanks ! Thanks Stephen for all you do! hmm the “how many” extension doesnt work if the seller has limited the number of units that can be bought. Yes, all tools that calculate stock levels are currently not working because of a change in Amazon’s way of providing info. I’m confident that the tools that provide this info will be working again shortly. Great tips! Any recommended apps/strategies to check a seller’s stock history as opposed to a sellers current stock level? I don’t think that’s possible to check individual seller stock history. Hey Stephen! Didn’t the keepa graph used to show how many “sellers” there were on a item over time? Or am I thinking of a different tool? “Amount of Sellers”. I thought there was a graph line you could add in Settings to show how many sellers there were over time? Yes, on a Keepa graph just click “Historical Data” and you can see how many competitors there are for different conditions. thanks for the information. I wish your blog entry had a date. Dates are so important and relevant to our work. Hi! Thanks for the great tips. I think I just fell victim to this. 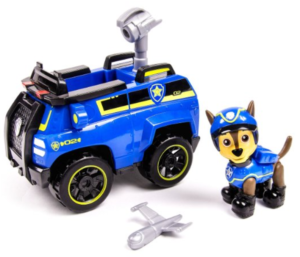 I bought 10 products at £6 each, they are a popular toy, with returns of £10 on Amazon FBA. I was too late to notice Amazon are on the listing. There are 3 variations of the product and for all 3, Amazon add 999 to the cart. My question is, is this surprising? I do think considering storage etc. for amazon to have the maximum stock for all 3 variations to be quite unbelievable – or maybe I just want to believe that! My other option is to list and dispatch from ebay myself, what are your thoughts? Many Thanks! If you actually place the order, you’ll get however many they currently have in stock, and then get backordered for the rest. That’s very interesting! Thanks for sharing. Thank you Stephen for this!